Many families feel excitement about Thanksgiving! It's a holiday centered on over-eating and sitting on the couch. 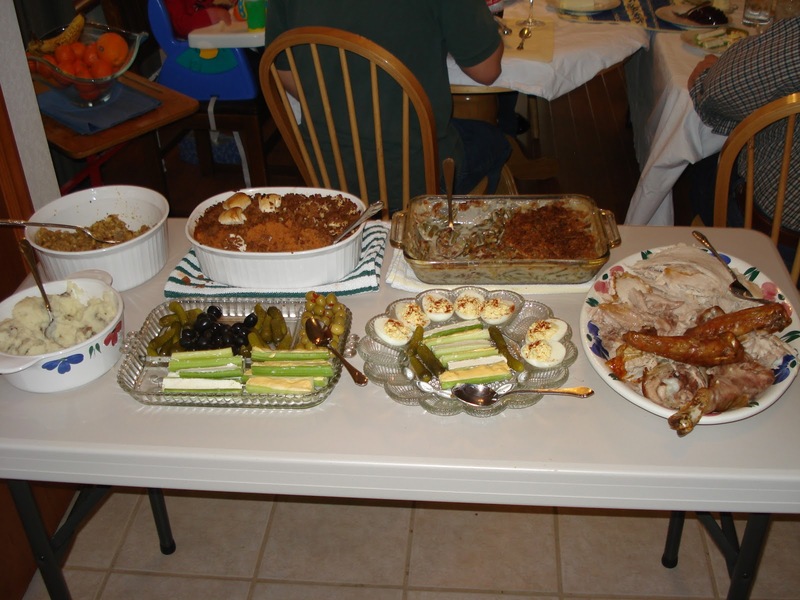 Many typical tables on Thanksgiving will have a turkey or ham, sweet potatoes, carrots, green bean casserole, corn bread casserole, cranberry sauce, and rolls. 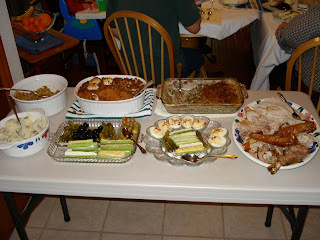 What do you put on a Thanksgiving table when your allergic child could react to almost all the food?! Obviously, you have to change the menu, but it's also a good idea to change the message of the holiday. The holiday is about being Thankful, after all. Thankful for food to nourish our bodies. Thankful for friends to laugh with. Thankful for family to love. Thankful for a house to be sheltered in. Thankful for the freedom to worship as you choose. Food allergies have brought many stressors to our lives. They have definitely brought me more grey hairs. I am quite certain that a few years of my life have been shaved away because of these allergies. However, when a food centered holiday comes up, the food allergies help me see that the holiday isn't about the food. It's about the tradition of the holiday's intent. In this case, the tradition to take a deep breath and be thankful. I have no idea what will be on our Thanksgiving table. Probably something simple and similar to most other meals we eat. To many households, that would be boring and tired. To us, we're just thankful to have food on our table. This year we'll focus on creating some other traditions.....maybe watching the Macy's day parade together while putting together a puzzle and then baking an apple pie.